← Does Affiliate Marketing Work For Me? Welcome to Traffic Clinic for Beginners, as usual we always start with the topic on “Understanding What Traffic Generation Is”. And traffic is what you need most when you are in an online business. 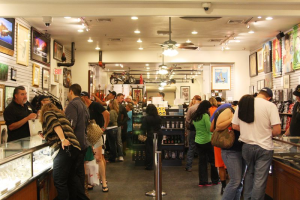 Traffic is like having the customers arrive at your store in your offline business and bringing business for you. So, it is the same in an online business where traffic generation activities direct customers to your online business and hopefully create business for you. 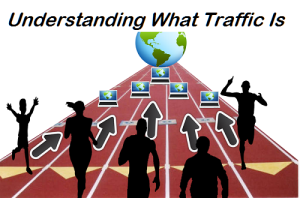 Traffic generation is the most vital factor for a successful online business. Every book you read about internet marketing would always give emphasis to the significance of generating web traffic. Traffic generation can be done through a variety of methods. However, it is often best that multiple methods are combined to create the traffic that you need, rather than relying only on one concept or marketing tool. But, as a newbie, it is advisable to first pick up a single tactics, and masters it. And once you’re done with one strategy than go ahead and learn the next strategy. Remember! There is no shortcut exists by which you can become a successful Internet marketer overnight. You should be ready to grasp and eager to learn the new tactics and strategies every day. The question which is always debated, whether quality traffic is more important than the quantity of traffic generated. I think both are equally important and a combination would give a better result. But still many marketers prefer to have quality traffic. The reason is that quality traffic generation has a better percentage of “conversion” into customers, because these people are already looking for what you are offering on your website. Even if they don’t buy from your site right away, chances are that they will come back, just to look for other offers or compare prices. Another concern on a newbie’s mind is cost. Although we know that there are free and paid traffic methods out there, work on the free methods first. Although producing freely available traffic is harder than and not as efficient as paid traffic generation. Keep using the free methods and track its result. And when you have extra funds, go ahead to try out paid traffic to see its result. The trick lies in using a combination of both methods – free and paid – to get you those miraculous figures for the number of hits to your website, which in turn, means more sales. Traffic generation is an action oriented process. If you take the necessary action, traffic will come. If you are not receiving the amount of traffic you want, maybe you are not taking the right action to attract traffic. As long as you are willing to learn and take action, you can have all the traffic you want. What is your view on free and paid traffic generation? Leave your comment below. What must I do to grow my business? How Do I Get Free Traffic? How To Use SEO To Get Free Traffic? How do you attract traffic to your site?